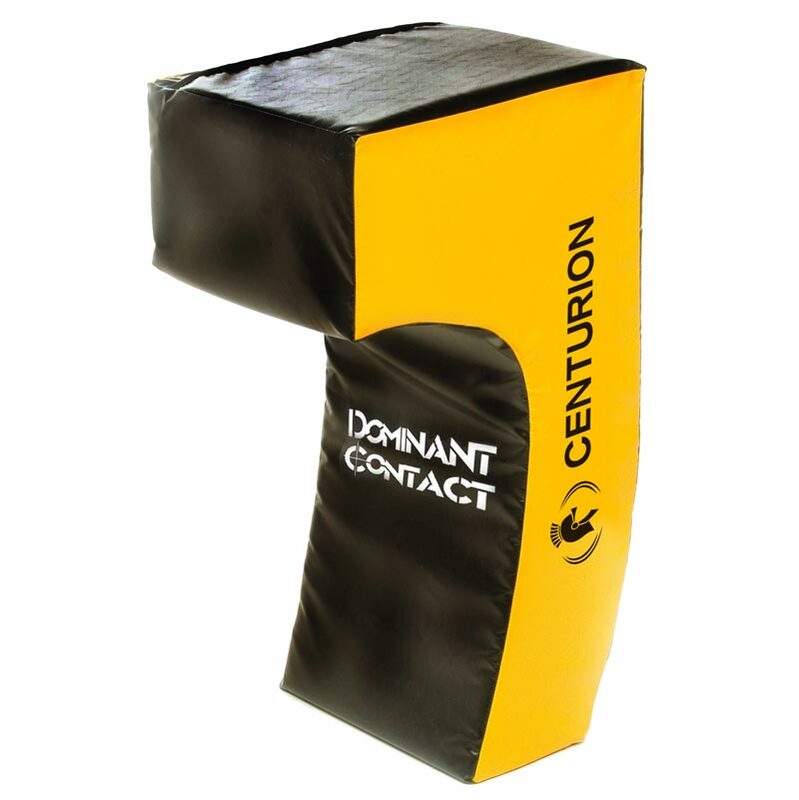 The Centurion Dominant Contact DC100 Shield provides dynamic pre-contact movement and rucking simulation. The DC100 allows coaches to do "live" rucking continuously wihout actually exposing players to "body-on-body" contact. The unique design of the DC100 allows the coach to train continuity skills before and during the contact. Exploit hard & soft shoulders. Replicates multiple contested tackle areas that promote the use of correct practice technique amd low-body positioning during game-time. Lightweight shield, ideal to teach correct technique and contact conditioning. Suitable for all players throughout the grades.